Stony Brook University Students for Justice in Palestine (SJP) released a statement via Facebook which compared Zionists to Nazis and KKK members and criticized Stony Brook University’s Interfaith Center’s Muslim Chaplain for supporting their cause. In its response, SJP argues that there is a way to represent Jewish voices without supporting Zionism. 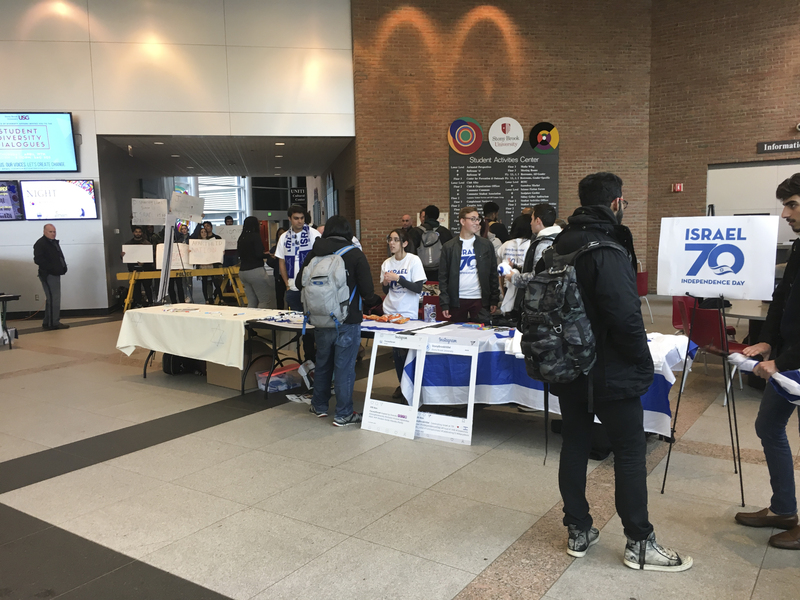 “Regarding our statement about wanting a proper Jewish organization, any proper organization regardless of religion, should not prescribe to any denomination of racism, colonialism, or imperialism, including Zionism,” SJP wrote. One portion of SJP’s post was aimed specifically at Muslim Chaplain Sanaa Nadim. Nadim has since denied SJP’s claims. In Nadim’s eyes, the actions of SJP run counter to the message of tolerance and unity that the Interfaith Center has tried to promote. “They should use the good energy and the opportunities that we have on campus to create a unified climate that can work on bringing the attention to a resolution for an independent Palestine,” she said. But President and Founder of SJP and senior political science major, Shehran Uddin, said working with Hillel would defeat the purpose of his organization. Uddin doubled down on the claims made in the Facebook post, adding that he and the rest of SJP are pushing to have Nadim replaced with a chaplain whose beliefs are more closely aligned with their own. Despite the backlash against her, Nadim said she respects SJP’s right to express their views on campus, adding that they should afford this same respect to the students in Hillel. “We as a people cannot create an agenda of hate or alienation, dictating to our fellow colleagues on campus what to believe in and how they should go about observing their religious convictions,” Nadim said.